This morning I thought today’s might be my last ever show on BCB. Â After Chris Moyles announced he was leaving the Radio 1 Breakfast Show, I felt sure Ben Cooper would be on the phone offering me the role… but no, someone called Nick Grimshaw got the call. Â So, much to everybody’s surprise, I’m still here! Today I saw this new James Yorkston video, which precedes his new album, I Was A Cat From A Book. Â The special edition of the album looks utterly amazing. The video is precisely what musicians should be doing in the digital age, in my view. Â Good work James, and good work Domino Records. Post your answer as a comment on this blog, or tweet @bcbradio by Tuesday 17th July 2012. Â The winner will be announced on my show on Wednesday 18th July. This entry was posted in Competitions, Eclectic Mainline, Playlists and tagged album, christian fennesz, competition, Frankie Rose, james yorkston, tickets on July 11, 2012 by Albert. Win Cloud Control gig tickets now! Every what has a silver lining? Email your answer, name and contact number to: studio@bcbradio.co.uk by Sunday 2nd October, 11pm. Put ‘Cloud Control Competition’ in the subject box. You never know, it could be you! This entry was posted in Competitions, Eclectic Mainline, The BCB Sessions and tagged BCB Radio, brudenell social club, cloud control, leeds gigs, The BCB Sessions on October 1, 2011 by Laura. Tonight I ran a competition to win a pair of tickets to the Beacons Festival.Â The competition will remain open until noon on Friday, to give people who listen again chance to enter.Â If you do listen again, and hear the question, please either Tweet your answers to @bcbradio, email studio [at] bcbradio [dot] co [dot] uk, or put your answer on the BCB Facebook page . 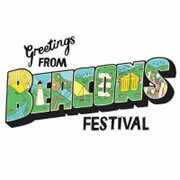 The line-up for Beacons is amazing.Â The best line-up of any festival I’ve seen this year. This entry was posted in Competitions, Eclectic Mainline, Playlists and tagged beacons festival, competition, tickets on July 27, 2011 by Albert. Here’s an exciting opportunity for any musician wanting a video, or video-maker wanting a musical act to work with. The South Yorkshire Filmmakers Network (SYFN) are running their 5th annual 2Weeks 2Make It competition.Â Here’s a ‘making of’ video from 2010. There is a small fee to enter as a musician (certainly much smaller than the amount you would need to spend to get a good video made) and it is free to enter for film makers.Â To find out more about it and how to enter in 2011 visit the SYFN website.Â The closing date is 2nd May and the launch event is on 5th May. This entry was posted in Competitions, Multimedia on April 6, 2011 by Albert. This evening we gave away a pair of tickets to see M.I.A. in Leeds on Saturday. From this clip from Jools Holland the winner is in for a top night! This entry was posted in Competitions, Eclectic Mainline, Playlists and tagged albert freeman, competition, m.i.a., MIA, playlist on November 17, 2010 by Albert. Win free tickets to see Duke & the King! My messages are like buses…you wait ages and then loads come at once. But the joy when you get one is oh so good! Great news, we’re giving away a pair of tickets to see The Duke & the King and Wilful Missing! They’re playing tomorrow night (Thursday 28th) at the Wardrobe in Leeds (right next to the bus station). It’ll be fantastic! I saw them play at the Hi Fi – it was packed and brilliant. So if you want to go for free (courtesy of the Hee Haw Sessions & BCB radio) then tune in tonight to Eclectic Mainline from 8pm. The winner will be announced before 10pm on The BCB Sessions. That’s 106.6fm if you’re in Bradford or www.bcbradio.co.uk to listen online. This entry was posted in Competitions, The BCB Sessions and tagged competition, Leeds, The Duke & the King, tickets, win on October 27, 2010 by Laura. Back in June I told you about a remix competition for These New Puritans‘ Hologram. Â I suggested I might have a go myself, and indeed I did! Â I would be the first to admit that mine is not a fully realised idea. Â Given more time (to get more familiar with Logic, as well as exploring my idea for the remix) I think my mix has potential to sound much better. Â Another thing to note (and again this is to do with me not being too familiar with Logic yet) is that mine is relatively quiet – so turn up the volume when you listen to mine! Anyway, I entered my effort into the competition. Â You can hear it below along with the original and also my favourite of the other competition entries, that by Mute Branches. This entry was posted in Competitions, Eclectic Mainline, Remixes and tagged dj albert freeman, fairtilizer, Hologram, mute branches, remix, these new puritans on July 25, 2010 by Albert. To coincide with the release of the astonishing â€˜Hologramâ€™ on July 26, TNP have set up an exclusive remix competition hosted by www.fairtilizer.com. Head to http://blog.fairtilizer.com/contest/puritans-2/ and you will be able to download the parts to Hologram for free. Remixes of the track can then be uploaded and entered into the competition â€“ as judged by the band. The winner will receive tickets to Londons 1234 festival, where These New Puritans are performing, along with special prize pack which includes music, merchandise and signed special edition goodies. The winner will also receive a pro-account for Fairtilizer. This entry was posted in Competitions, Eclectic Mainline and tagged competition, domino records, Hologram, remix, these new puritans on June 16, 2010 by Albert. We had a special acoustic session fromÂ Lawrence Arabia, recorded here at BCB by Albert Freeman (thanks Alb). And if you’re reading this before 7th March – take a punt on our competition…it could be YOU! Prize: Beach House – Teen Dream – signed! Question: Where are Beach House from? Answers to: studio@bcbradio.co.uk with Beach House competition in the subject line. This entry was posted in Competitions, Playlists, The BCB Sessions and tagged BCB, bcb sessions, Beach House, laura rawlings, lawrence arabia, playlist on March 4, 2010 by Laura. Longplay with James Long – Ivyrise Special! My new hour long show will feature live sessions, interviews, local bands, new music and much more. So this week for the first show we have an Ivyrise special! Ben and Dan from the band popped in for a chat and played a couple of tracks. We also have a competition running to win 2 separate pairs of tickets for the gig next Thursday 18th February at the Cockpit, Leeds. Listen in to the show for the question and send all answers to james.long@bcbradio.co.uk. Two winners will be selected at random and announced on the Ivyrise Facebook page after the show. Check out www.Ivyrise.com for band information and links to their Myspace and other pages. This entry was posted in Competitions, Longplay and tagged competition, ivyrise, James Long, Longplay, win on February 13, 2010 by jameslong.